Found this product when I was looking for something to take over my legs when walking to work. Always arrive in sweat after walking for 20mins. Anyway, testing water here, see anyone know about it. And see what everyone have to say about it. Where to buy and how much??? I went down for a "test-ride" the other day. With practice, can do a U-turn within 1 meter radius. I would think a quick ride to the town central and back would be good. 8km is a ok distance. It is small enough to hand-carry too. But a pity my girlfriend don't share the same interest in this little toy. To check out the link posted. I don't want to be seen as a promoter of this thing. inforned them DC motor may not be able to take longer hours of vacuumming/load if increase battery energy. xperiment wit 1machine wit more than 3O% powerful battery, works pretty well for 3-4days, then DC motors kuput . maybe wit today's tech hv improved overall design/performance of these electric mini bike, which cud hv saved motor/battery in longer working hours. wat abt spring bounce/jump shoes --some thing like roller skate, but leap/bounce up (not too high, of course) wit ease, wud tat help ? ??? What you want to help? The idea here is distance cover without physical energy. Call me lazy. Anyway, I can inline skate. i got mine free from M1 when i bought a new hp from them many years ago... hahaha... initially, the novelty is there but darn.... it's heavy. I feel it's more for kids becos of the handle bar height but wifey had a good time using it to commute between our flat and her tuition centre. Her students were amused and amazed when she zoomed into class with it. I checked out the thread in Hardwarezone and found that the product is from China or hongkong. Done a search and found that it is rather cheap over there. Hmm.... no wonder it can be given away free. ...I don't really think these shoes look cool leh. This is cool. And should be able to get more admirers. Edited by Wbucket, 24 March 2009 - 03:54 PM. 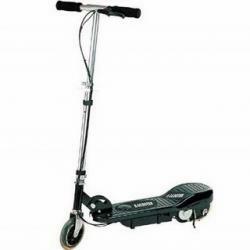 if need to travel a decent distance, i think a motorised scooter would be more appropriate like the "Goped". True about the motor tho.. Sorry to hijack about the topic. I do not know whats that call but i often saw ang mo use this motorise machine to travel them around. it is a 2 wheels on the side, stand on top of the platform and there's a handler to hold on and navigate it. It is huge tho. Oh... now then i know. lol. swee! From the same guy. He claims to be the dealer here. to mod,admin: there is no free speech in mcf?